Institutional ownership low at 11%. More holders selling than buying. MLCO has an aggressive, visionary management that sees itself as a global player with interlocking strategies. There's a bear case, but we think our bull case outweighs as the stock begins to trend higher. 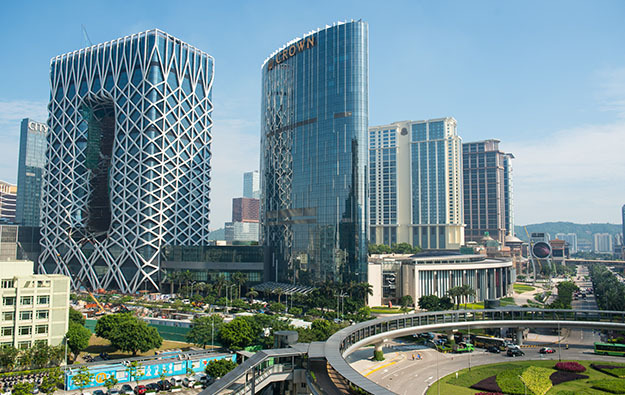 If you believe that strong institutional ownership is a telling mark of high confidence in a stock then you might be inclined to pass on the shares of Melco Resorts & Entertainment Ltd. (NASDAQ:MLCO). The company’s 321 institutional owners comprise only 11.73% of the outstanding shares. In its most recent report NASDAQ showed 34 firms took new positions against 59 who sold down or out, marking a net departure of 2,480,000 shares. Among the sellers were six hedge funds who either liquidated shares or options positions. Much of this followed on the unimpressive Q3 performance numbers of MLCO. Yet since then, with an improving Q4 earnings profile, skepticism remains. At the beginning of this year, the stock was trading at $19.95. Its 52 week range now sits at $15.33--$32.95. Price at writing: $26.66. So based on a better Q4 and some fresh eyes, the stock has moved around 33% north since and is beginning to enter territory where we can see it nearing its 52-week high. Its P/E can seem pricey at 36.24 but it has now hit its consensus analyst PT of $26. So where do we go from here and is it a good place for investors? With a current market cap at $12.6bn against an EPS OF $0.71 and a beta of 1.36, we can see hesitancy. The golden metric we always use to value gaming stocks is EV/EBITDA. FOR MLCO it’s 11.62, slightly below the industry average of around 12. 2018 revenue reached $5.15b, throwing off a net income of $351m against a gross margin of 25.21% with a ROE of 14.01. So dubbing MLCO as a “pure” Macau play is somewhat misleading. It's a “dominant” Macau play. But a deeper dive into MLCO’s playbook tells a much bigger story: At its current trade going forward, MLCO is a buy. The exit of 6 top hedgies from the ownership roster after poor 3Q 2018 numbers and latest net negative in departures from that ownership segment is understandable. MLCO, like its other Macau peers, faces a slowing VIP sector which in turn tends to trigger more frenetic competition for players in the light of the debut of more properties. MLCO has clearly seen some cannibalization in its share of market, which now stands around 14%. It was challenged by the opening of the MGM Cotai property about a year ago. MGM posted about 7.5% share of market prior to that opening, the smallest in the market. It has since gained share but it and all other peers face the same fortress reality: Las Vegas Sands (NYSE:LVS) and Galaxy dominate the mass segment, sharing approximately half each of 46.6% of the entire Macau gaming win of $37.7bn in 2018. Estimates of 2019 GGR in Macau run from a slowing outlook which Morgan Stanley forecasts will result in an overall -2% y/y GGR decline for 2019, led by a -6% loss in VIP. Other analysts see a flat year at best with a more positive tone to mass offsetting, but not totally. The downtrend in VIP. Most of this outlook is attributed to persistent China headwinds from its slowing economy and shrinking availability of credit. MLCO has opened new junket rooms at City of Dreams Cotai with some success, but like its peers faces yet more competition in mass as SJM’s Grand Lisboa Palace’s 2,000 room resort now appears to be targeting a grand opening late this year. This will impact MLCO’s momentum in mass and possibly bruise its upscale segment attracted by its unique new Morpheus Tower as well. MLCO sits in the middle ground marketing wise. Wynn Resorts Ltd (NASDAQ: WYNN) is holding at a 15.7% share, continuing to lead in the VIP sector primarily resulting from the powerful surge out of its new super luxury property, Wynn Palace, which has become a VIP magnet since it opened. At the other end, the mass segment is healthy but MLCO needs to penetrate the fortress position of the two mass leaders noted above which can be costly. So there's a bear case to be made that MLCO could be “middled” in the center without the mass room capacity of the two fortress properties noted above and operating from a smaller, less super VIP base than does Wynn. This exposes MLCO to marketing pressures from above and below that could be a drag on its forward earnings profile. If you buy the bear case that signals caution, you might want to stay on the sidelines at least until some of the macro China headwinds subside. At that time we should have more clarity on how much the good news will spike the sector in general. After that it would be time to value the bull case. It is in mass where the growth will be coming from this year though we think VIP will prove more resilient than many estimates by analysts until this point. That's because we believe the linkage between macro economic headwinds and VIP/credit availability is overstated in much analysis of the sector. We certainly believe there's some slowing, but a deeper reality about the VIP segment usually prevails. VIP is far less a casualty than perceived of macro headwinds than are the large, supply chain and corporate giants in China. VIPs are mostly entrepreneurs who constantly generate new wealth through businesses like wholesale, small manufacturing and service businesses, and inheritances and global property speculation. From our industry centric view, VIP slowdowns are predominately the result of players experiencing multiple losses in sequence who decide to stay away until they can replenish bankrolls. 2018 GGR was up a healthy 14% against a battering of fear and headwinds out of China. We believe with mass growth as the primary propellant and VIP slowly reviving from 2Q and 3Q onward, we forecast 8% total GGR growth. Marketwide our bull case assumes MLCO will hold market share at around 14%. If both these assumptions prove out, that would translate to a total MLCO revenue of $5.60bn. That revenue also will be driven by a forecasted upside of 8.5% market wide in The Philippines, producing a GGR of $4.1bn with Entertainment zone properties leading the gain. As further evidence of the vitality of the Philippines market, Solaire (BLOOM:PSE) has announced it will build a second property in the greater Manila metro area at Quezon City scheduled to open 2022. As a matter of corporate strategy MLCO has seen itself as a global, not only Asian operator. It saw the Russian Far East as potential through its Tigre De Crystal property there through its Summit Ascent holdings. By late 2017, Ho, frustrated by the confused policy of Russia toward the expansion of gaming and the tax rates imposed arbitrarily, sold his $21.3m position in the Hong Kong listed company and left. 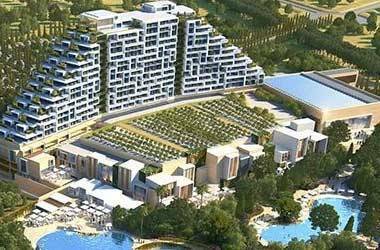 In early 2018, Ho announced that MLCO had closed a 50/50 partnership deal to build a E550m integrated resort on the island or Cyprus. The property is expected to open in 2021 with 550 rooms, 11 restaurants, 140 gaming tables and 1,200 slots. It will have all the amenities of an integrated resort including convention and meeting space, shopping mall, spa and a 1,200 seat arena for entertainment. Until the IR is complete, MLCO is running a cluster of temporary casinos in the southern part of the island. This City of Dreams property will be the only IR serving all of Europe as well as the Mideast. While there are casinos of all sizes sprinkled throughout the EU and the UK, there's not a single property that can realistically be considered a state of the art integrated casino resort. This will be Europe’s first. Cyprus tourism is growing. Last year it posted 3.9m arrivals and is expected to show gains this year. The composition of the tourist origin points is instructive. Of the total noted above, 1.3m arrived from the UK and 783,000 from Russia. Both these nations have a proven higher than global average proclivity for gaming. As first mover for an IR serving the EU, MLC0 demonstrates a global ambition that's hard to bake into an analysis of its share values now. But as a reflection of management with a realistic grasp of potential, it contributes to our bull case. MLCO is all in on Japan. All potential bidders for the three licenses to be issued by late this year have put down a heavy presence in Tokyo with phalanxes of executives and lobbyists maneuvering to enhance their shot at one of the three licenses. MLCO has been highly visible and proactive both in its pursuit of a partner, its ideas for its resort design, and above all its very public display of its corporate responsibility. Lawrence Ho recognizes the almost paranoid fear of Japan officialdom about IR’s stimulating problem gambling — a major issue. The long history of pachinko addiction in that nation has fueled this paranoia. Late last year Ho announced that if its bid succeeded, MLCO would put in place a high tech, AI monitoring system to detect early stage problem gambling and have in place programs to intercede with players at risk and their families. This went down well with Japan officials and will contribute to the odds that MLCO, probably with a Japan partner, clearly has one of the key pole positions in the race for a license. We believe that MLCO, at its current trade, does not reflect the skill set in both operations and strategy possessed by a very sound management team. Yes, they have raised the dividend a bit, repurchased some shares last year, but to us, that doesn’t flush out the real value here. We think the hedgies that have sold did so based on their algorithms, options spreads and other technical issues — not fundamentals. The bull case lies in how the company is handling both its challenges and opportunities, two elements we believe are not yet baked into the price for value investors. This is a stock for those with a risk profile undisturbed by a quarterly miss in earnings or who recognize that beyond a balance sheet and forward earnings profile, there's a rationale to own a stock. That rationale is management quality. As I have often pointed out in my SA posts, Wynn Resorts had it in the unique skill set of its former founder and CEO, Steve Wynn. In a way I believe that same viewpoint applies to MLCO in the presence of Lawrence Ho and his senior team. I have studied their moves from the perspective of a gaming insider. They are fast on their feet, contemplative, far seeing and above all, ever cognizant of building as much value into their stock as possible during a time when the sector has been crushed since last summer. For that reason we are putting a PT of $41.50 on the stock by Q4 this year assuming Macau, performing better than expected at 8% GGR for 2019, Philippine GGR growth and the possibility that before year’s end an IR decision from Japan could include MLCO. For in-depth and deep dive research on the casino and gmaing sector, subscribe to The House Edge. New: Free excerpts from our book in progress "The Smartest ever Guide to Gaming Stocks" - free to existing members and new subscribers.